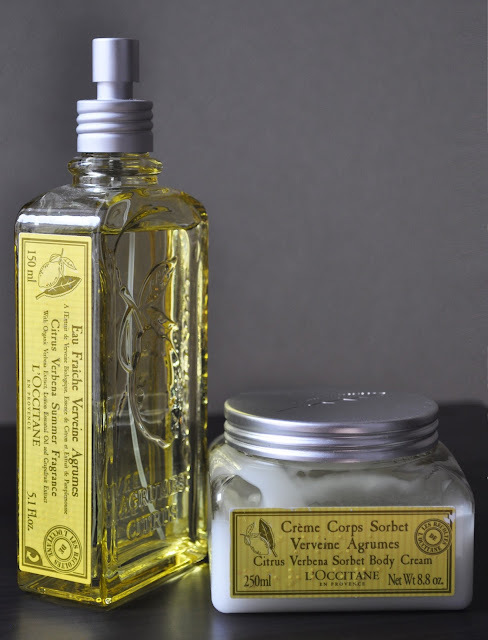 L'Occitane's Citrus Verbena Collection is one of my favorite Summer scents. I love the light, refreshing, citrus scent of both these products. The Summer Fragrance is a deliciously invigorating, crisp scent that's not overpowering during hot and humid weather. The sorbet body cream is just as lovely; it has a lightweight, gel-like consistency that is moisturizing, soothing and adsorbs instantly into the skin. What fragrance and body cream are you enjoying this Summer?